Carole has been a self-employed stress management consultant and hypnotherapists since 1992, following a change of career. In a previous life, Carole was a magistrate and worked in the finance industry, both of which enabled her to witness stress first hand! She also trained as a counsellor and antenatal teacher for the charity, The National Childbirth Trust. She was made the UK Training Officer for the Association of Stress Management in 1996, responsible for the development of course materials and course delivery, and was promoted to College Principal in 1998, with overall responsibility for the running of the College of Stress Management. As part of this role, she developed and implemented NVQ standards for Stress Management. Alan became a partner i n LifeSolutions in 2001, after moving from London to Sheffield, Yorkshire. Like Carole, he worked in a variety of careers, including the theatre, finance and the construction industry before qualifying in Stress Management, NLP, Coaching and Clinical Hypnotherapy. Both Alan and Carole have been Associate University Lecturers in Stress Management and have been involved with many local companies & schools, running workshops & training sessions in motivation, stress management and coaching. Over the last few years both Carole & Alan have worked hard to expand & develop their company. Their work has taken them to Egypt, where they ran a successful course combining stress management & scuba diving, the United States and Malta. Carole was previously a Director of Harley Street Stress Management Specialists Ltd. and Training Accreditation Director for the National Council for Hypnotherapy. She is a qualified supervisor and has been an EMDR therapist for over fifteen years, being one of the first therapists in the UK to qualify in this discipline. Over the years, Carole has gained many additional qualifications and attended specialist training with internationally renowned leaders in the field of therapy & hypnotherapy, including Jeffrey Zeig, Michael Yapko and Rubin Battino. 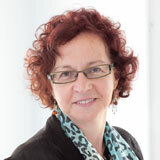 Her areas of specialisation include: Therapy with Children and Anxiety & Phobias, Hypnosis for childbirth, Trauma & PTSD. 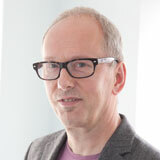 Alan Cooper was one of the first students to gain the externally assessed HPD (Hypnotherapy Practitioner Diploma) and he has been instrumental in developing a range of CPD training aimed at therapists and those in the caring professions. Along with Carole, he has also written and delivered courses in both Stress Management and Hypnotherapy & NLP. Alan is an NLP trainer and a fully qualified EMDR clinician with EMDR UK & Ireland. His areas of specialisation are smoking cessation, coaching, stress management & motivation, and IBS.